Unscramble the words to discover all the numbered letters. 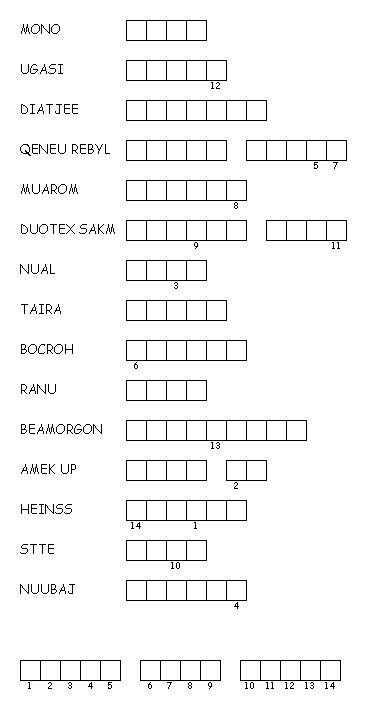 Then enter the letters in order as shown in the final answer under the scrambled words. Enter the hidden phrase in the password box and click "guess!" to get your prize! Enter the secret phrase with no punctuation, spaces, or capital letters.